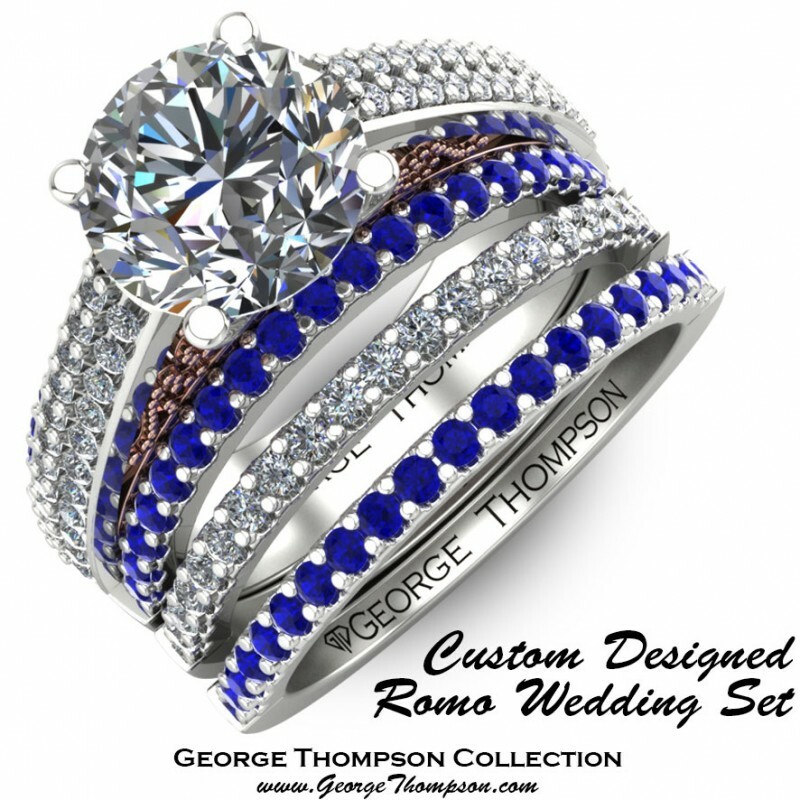 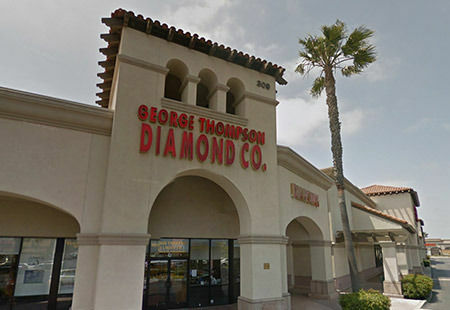 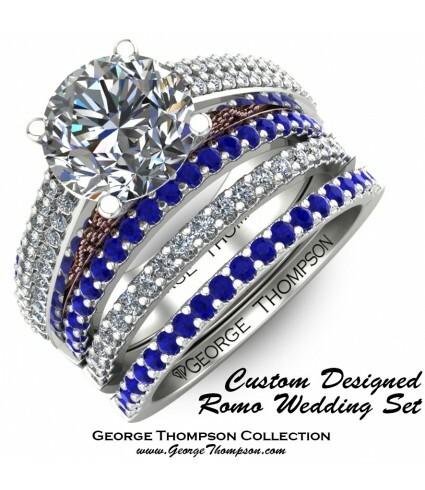 CLICK TO CONTACT US DIRECTLY ABOUT "Custom Designed Romo Wedding Set"
G and R Romo came into George Thompson's looking for a wedding set. 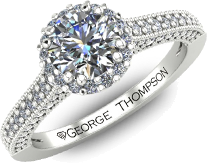 She came in with an idea of what she wanted, and we then created a full design off of her specifications, around a beautiful 2.01 ct Round Brilliant diamond. We then took the design and the diamond to our exclusive factory in Thailand and proceeded to build a wedding set for her and her husband. 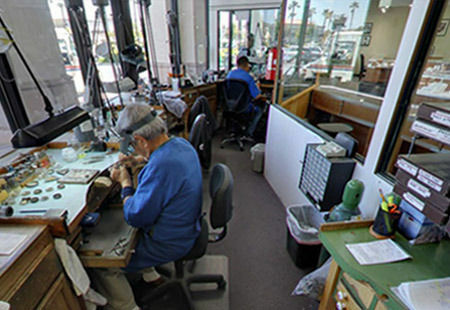 George took a direct involvement in the design manufacture with our skilled designer, Dang. 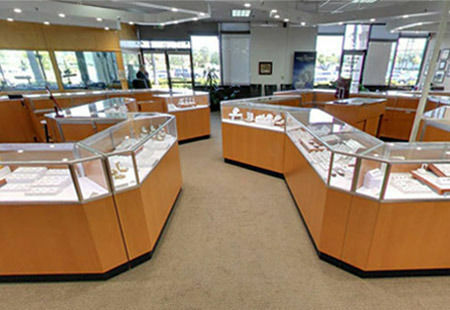 We then sent them the pictures included. 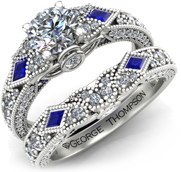 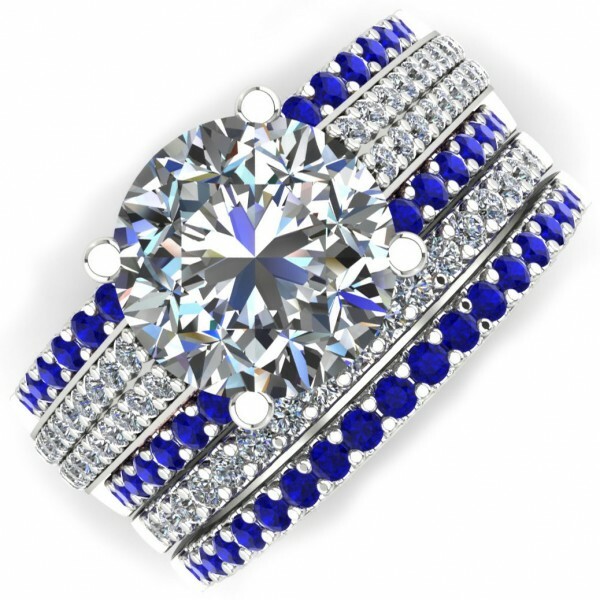 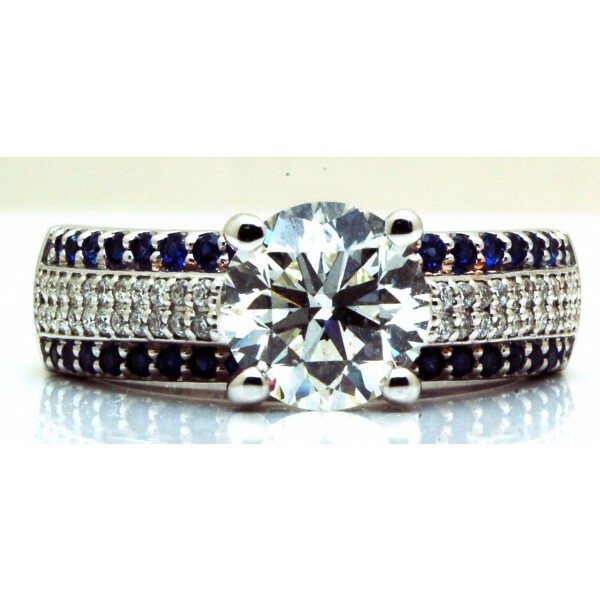 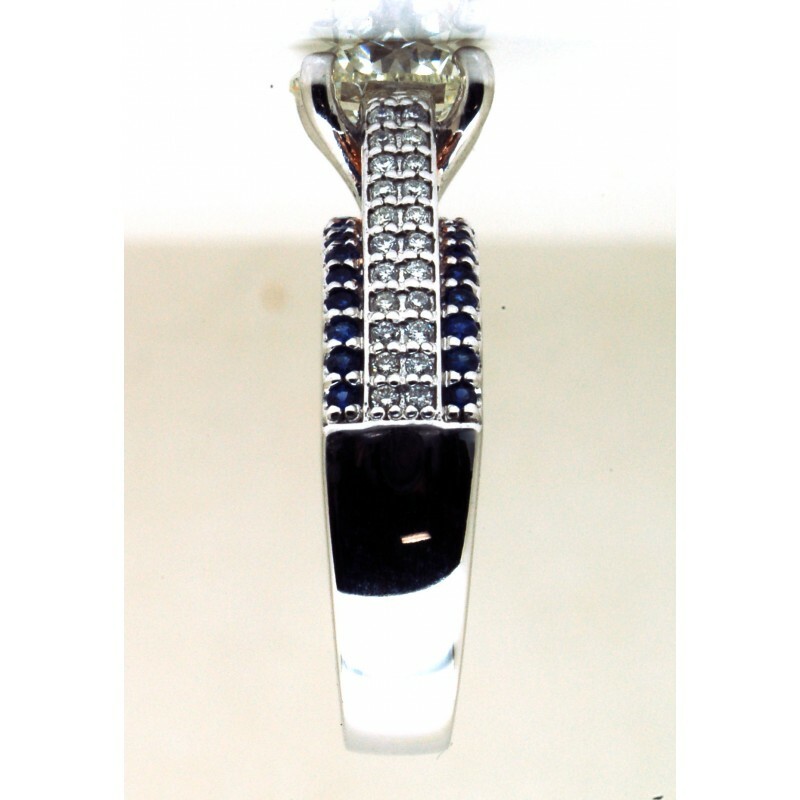 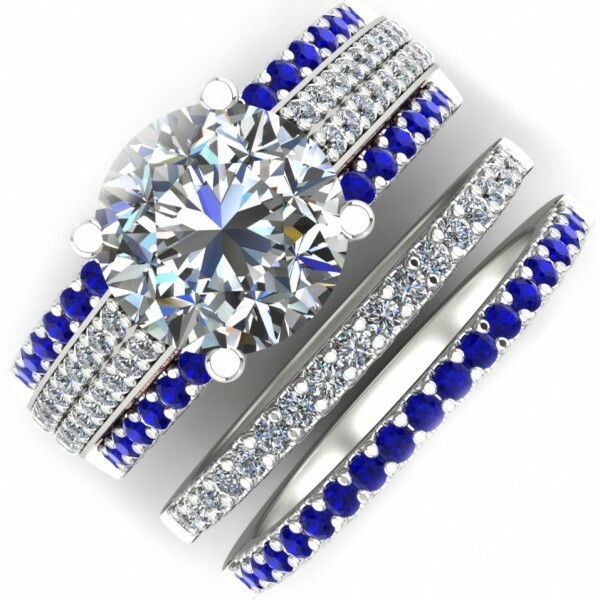 After they were approved, we then found the perfect sapphires and diamonds, and delivered it to a very happy couple. 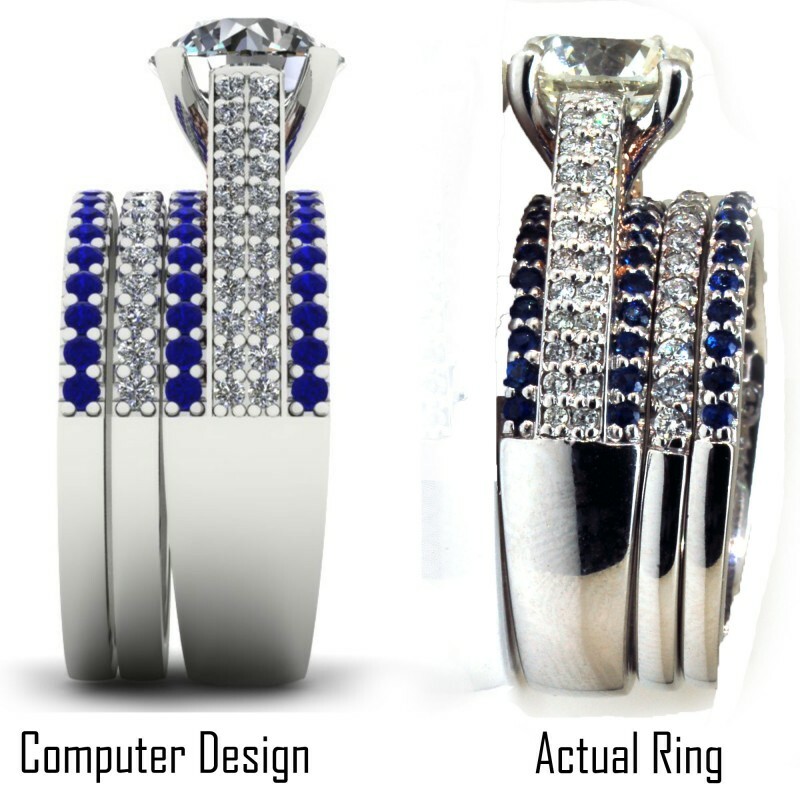 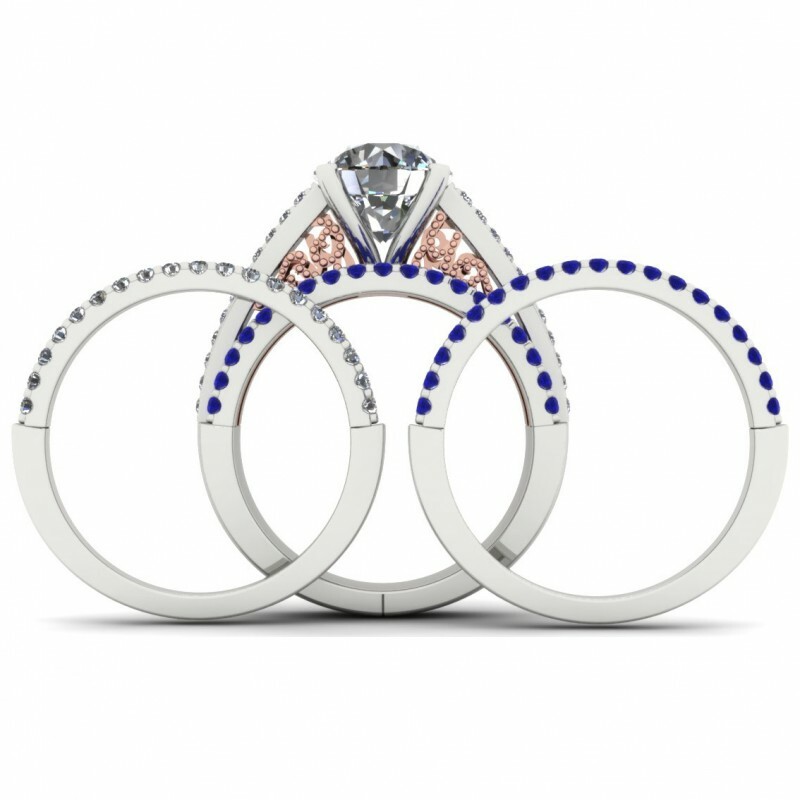 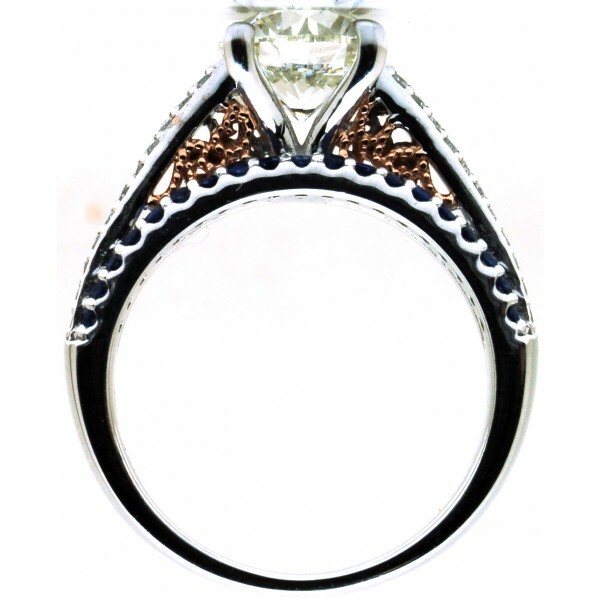 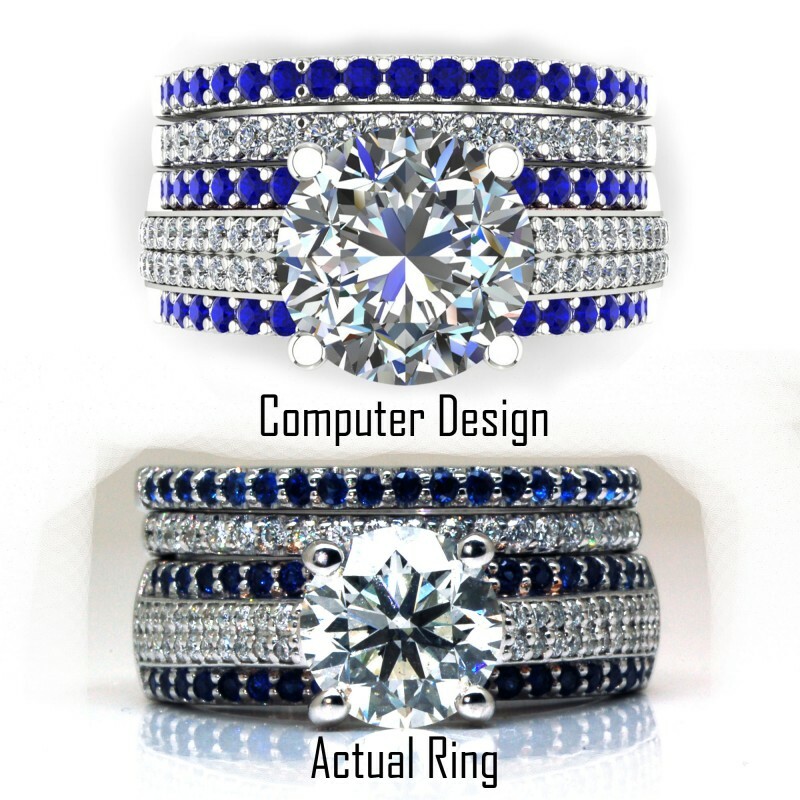 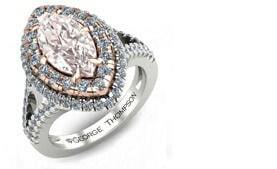 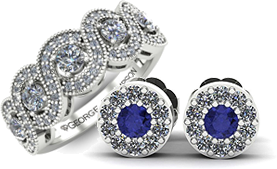 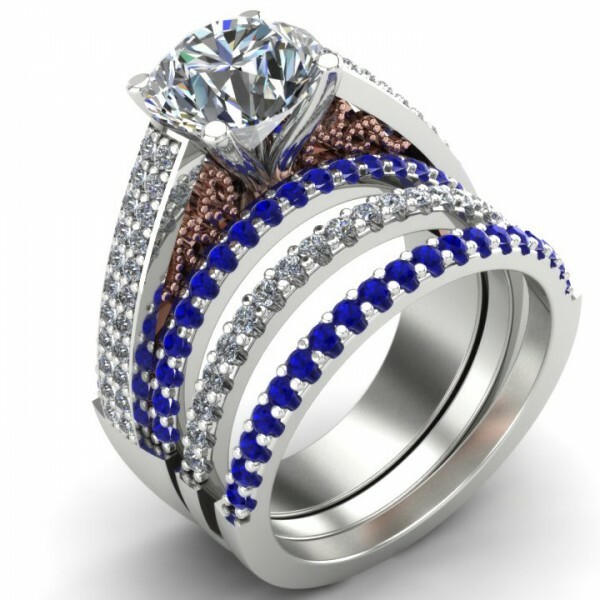 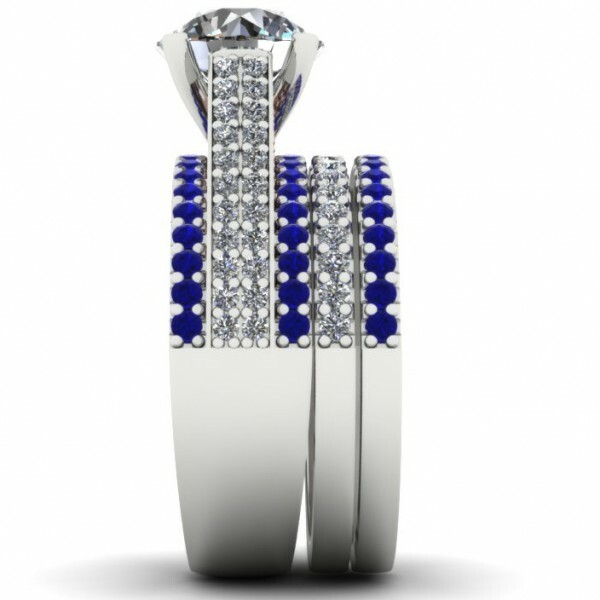 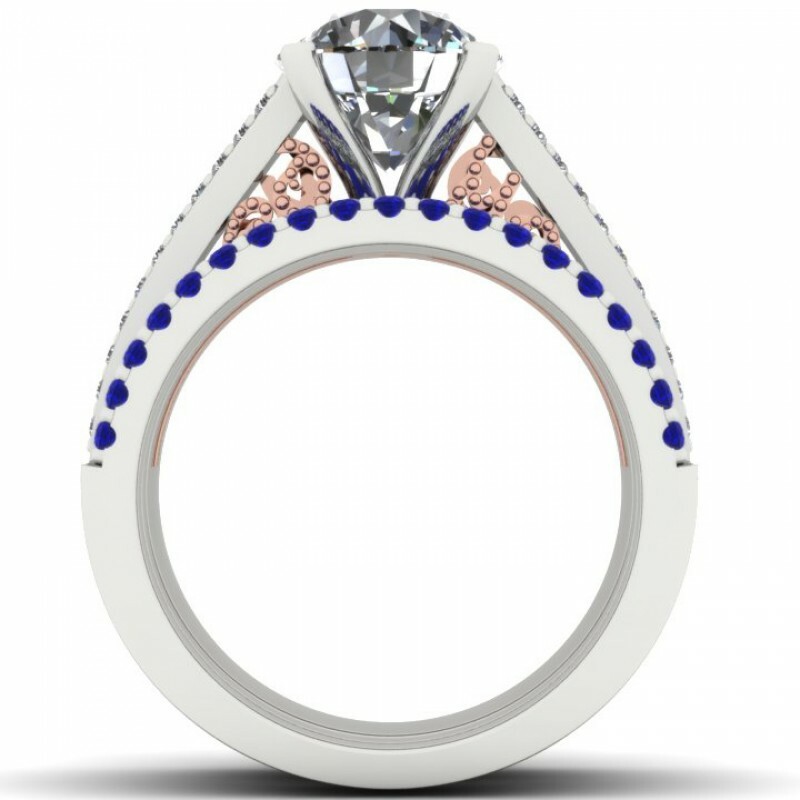 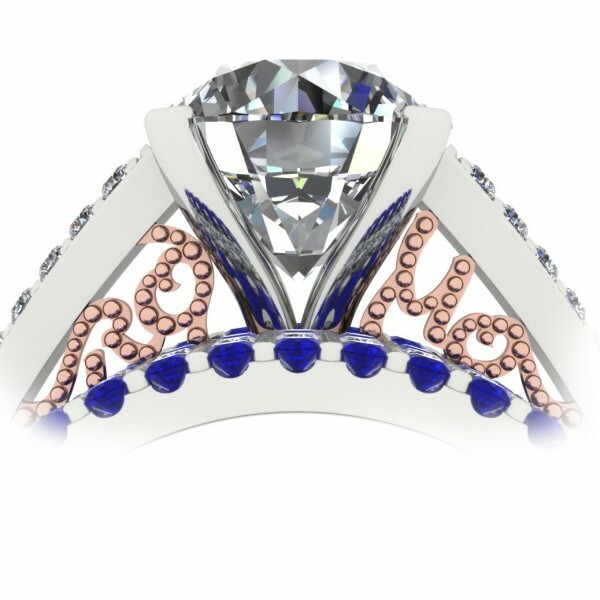 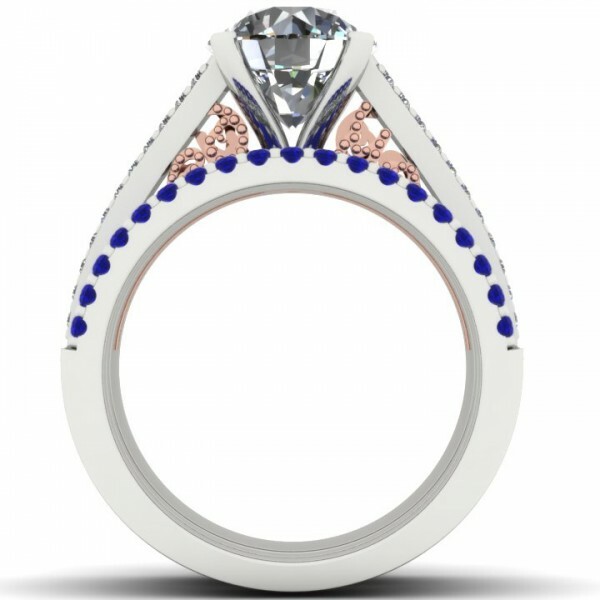 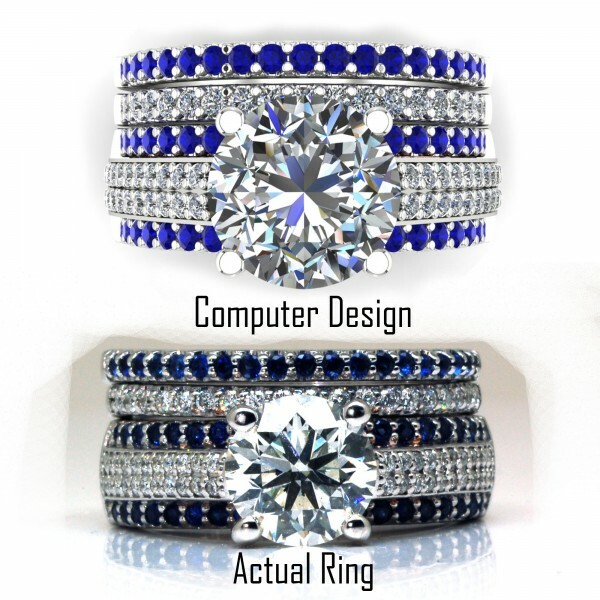 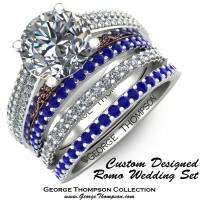 The Romo Exclusive Custom Designed Wedding Set, One-of-Kind a White Gold, Rose gold, Sapphire and Diamond wedding set. A center Round Brillant Diamond of 2.01cts., 63 Round Brilliant accent diamonds with a total weight of 0.36cts and 39 diamond cut accent sapphires of 0.59cts. 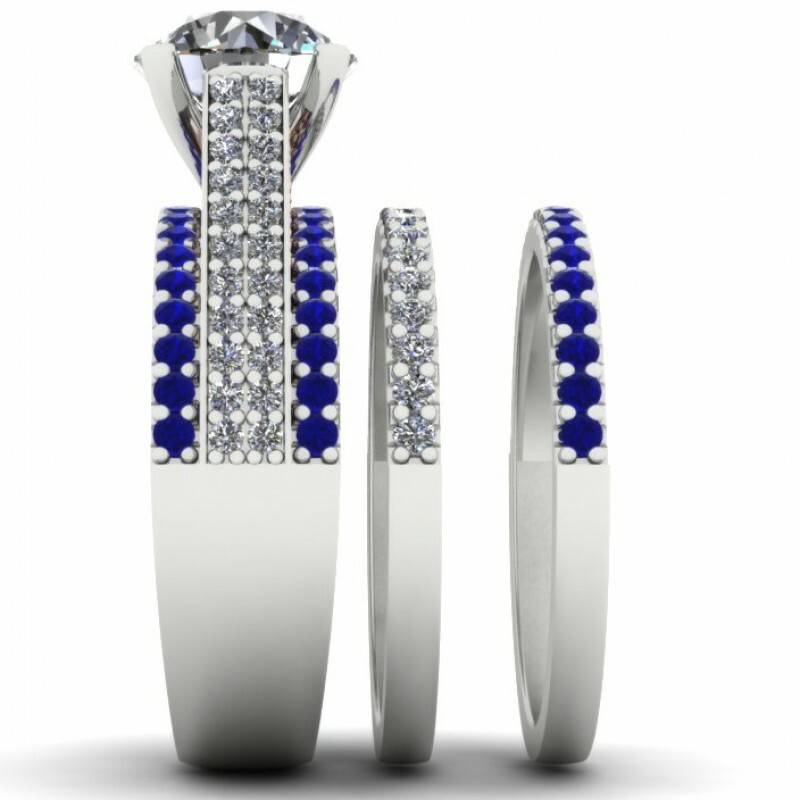 This Wedding set has a total diamond weight of 2.37cts and a total gem weight of 0.59cts. 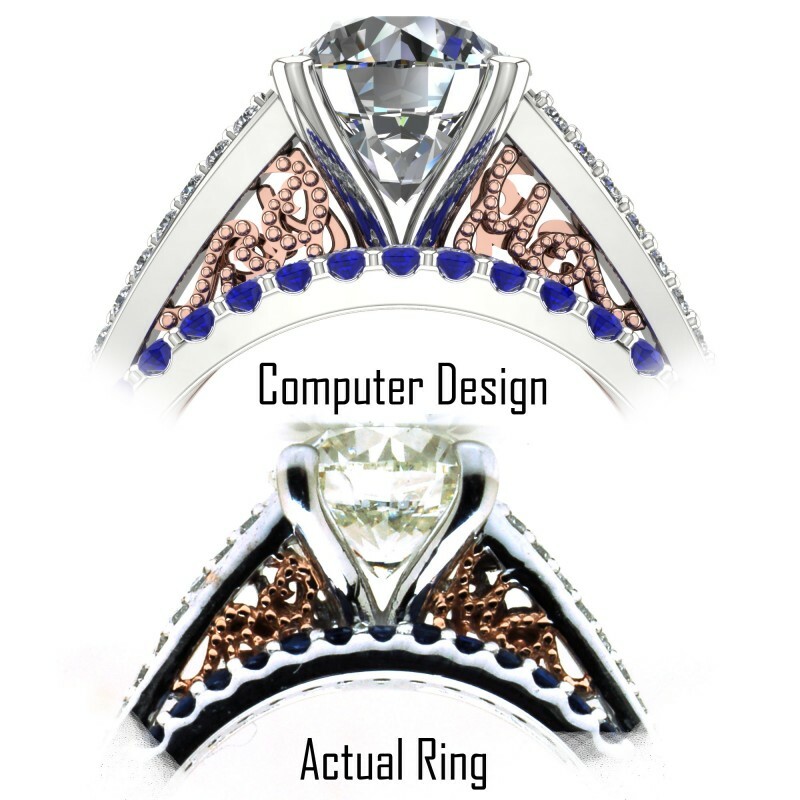 and weighs approximately 11.5 grams in 14kt gold.